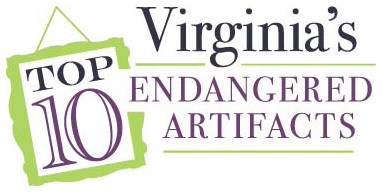 It has been a busy season at the Memorial and we are excited to announce that voting will open on August 1st for this years Virginia’s Top 10 Endangered Artifact. This is an excellent program and one that we are happy participate in. For the 2015 season, we have submitted a relatively new object to our collection – a 1942 Dodge WC-53 Carryall. This 1942 Dodge WC-53 Carryall was designed for the US Army as a Command Car. One of only 8,400 manufactured between 1942 and April 1943, this vehicle would have been used in 1942. After the war, it was used as a family vehicle. The National D-Day Memorial received this donation as a Gift of the Skelly Family in Memory of David Skelly, a longtime supporter of the Memorial. Included with the truck were 2 jerry cans and all the tools which would have been on the back of the truck. The immediate concern for the truck is preservation. Being an outdoor site, we are concerned with the effects the elements have on the truck and are actively searching for ways to secure the vehicle on-site. A minimal amount of conservation work will need to be completed on the interior of the truck – looking mainly at the floor and dash. Pieces of equipment like this have unique significance on the Second World War because it was a total war. 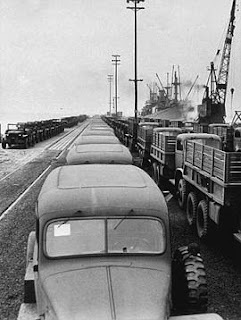 Military vehicles were produced in factories that once made bicycles and refrigerators. Ten percent of working-aged women in the United States had entered the factories to support their men on the frontlines and do their part in the war effort; and children were collecting scrap metal and other materials that would be needed to make all necessary military equipment. This truck – while it looks like a simple command vehicle – actually serves as a story to the war production effort and the support of the homefront to the frontlines, and help secure Allied victory. Click here to vote and learn more about all of the interesting artifacts selected this year. Please vote early and vote often for this artifact!